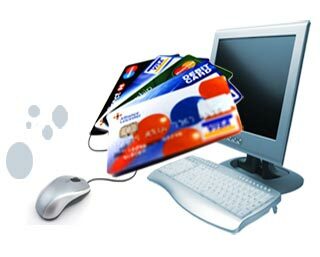 We provide complete solutions for payment gateway integration of credit card on Website for Indian currency USD AUD. We provide integration with a host of different payment gateways offering a wealth of different options when it comes to managing your online transactions. We can help you find the right payment gateway package and guide you through the integration process.There is a great deal of confusion regarding acceptance of payments online. Our simple guide below aims to clarify the differences between the two main approaches commonly adopted. This means you are not directly able to accept cards payments as a business, rather the provider is allowing you to make use of their merchant account and then passing the payments on at a later date. This is suitable for customers who may not be able to obtain their own merchant accounts, however this option has many negatives.If you are looking to create a professional impression online these services do not provide the best solution and may deter customers from ordering. The most professional and flexible approach to online payments. You will need a merchant account from a UK acquiring bank and then you have the option to process payments through a range of available gateways.The acquiring bank will agree a percentage charge on all credit card transactions and typically a fixed cost on any debit card transactions. A customer places an order on website by pressing the 'Submit Order' or equivalent button, or perhaps enters their card details using an automatic phone answering service. If the order is via a website, the customer's web browser encrypts the information to be sent between the browser and the merchant's web server.This is done via SSL (Secure Socket Layer) encryption. The merchant then forwards the transaction details to their payment gateway.This is another SSL encrypted connection to the payment server hosted by the payment gateway. If an American Express or Discover Card was used, then the processor acts as the acquiring bank and directly provides a response of approved or declined to the payment gateway. The credit card issuing bank receives the authorization request and sends a response back to the processor (via the same process as the request for authorization) with a response code. In addition to determining the fate of the payment, (i.e. approved or declined) the response code is used to define the reason why the transaction failed (such as insufficient funds, or bank link not available). The payment gateway receives the response, and forwards it on to the website (or whatever interface was used to process the payment) where it is interpreted and a relevant response then relayed back to the cardholder and the merchant.